The release of House of Cards Season 3 on Netflix last week gave my wife and I another opportunity to binge watch a good show. 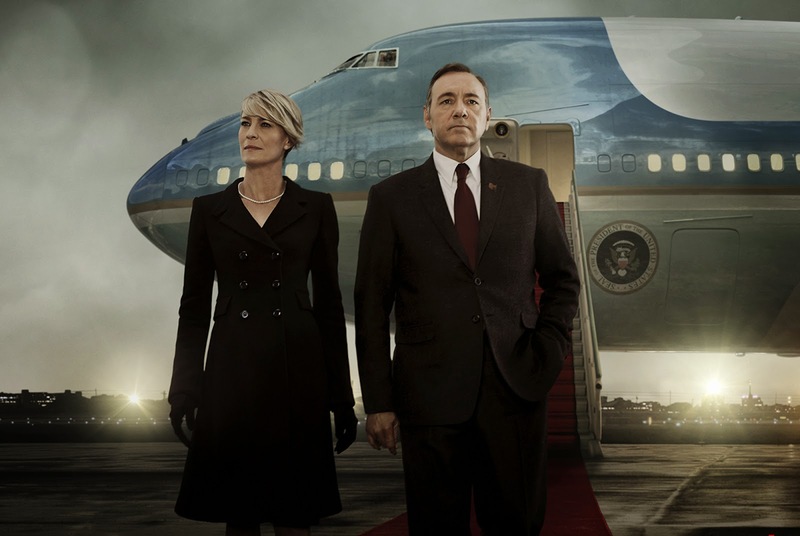 We loved House of Cards Season 1 and 2 so we were excited to jump into Season 3 right away. It's still good, even if it has gone off the rails a bit this season. It's definitely not as good as the first two seasons. The first two seasons were all about the dirty and desperate power climb in the American political system. Season 3 starts out with Frank Underwood already being president and most of the season he doesn't quite know what to do with himself. It's a disappointing change compared to the other seasons. Another thing that bugged us is that anyone who has looked into the actual daily life of a president would notice a ton of inconsistencies and things that aren't realistic this season. I'm able to let it go, but it bugged my wife throughout the entire season. Frank Underwood barely seems to have any kind of staff or interact with anyone outside of a few close allies. The typical White House Senior Staff is no where to be seen. It seems like a lost opportunity. With all that said, would I still recommend it? Yeah. It's still a really good show. House of Cards is a great drama and I love supporting the Netflix Original Series. Not to mention, the way the season ends sets it up for what could be an amazing confrontation in Season 4. The last episode or two left me feeling emotionally sick. I had invested some degree into these characters, so despite them also being monstrosities, it was odd seeing their truest forms and their lowest points simultaneously.